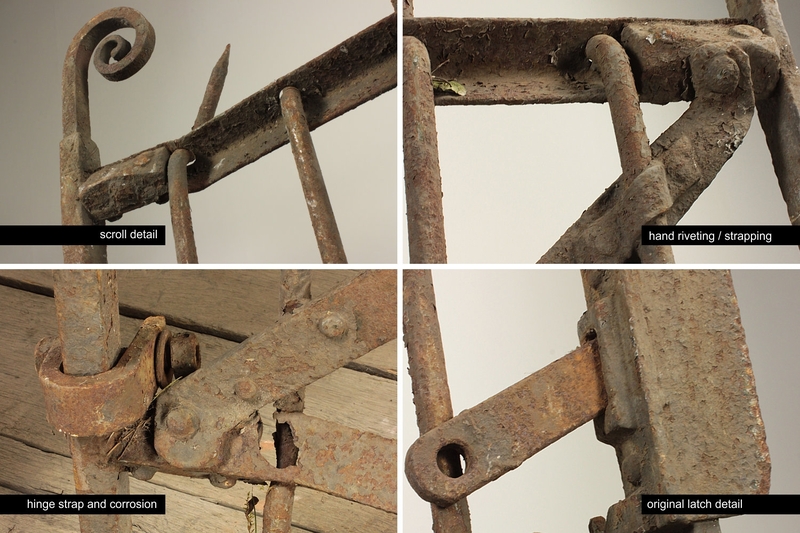 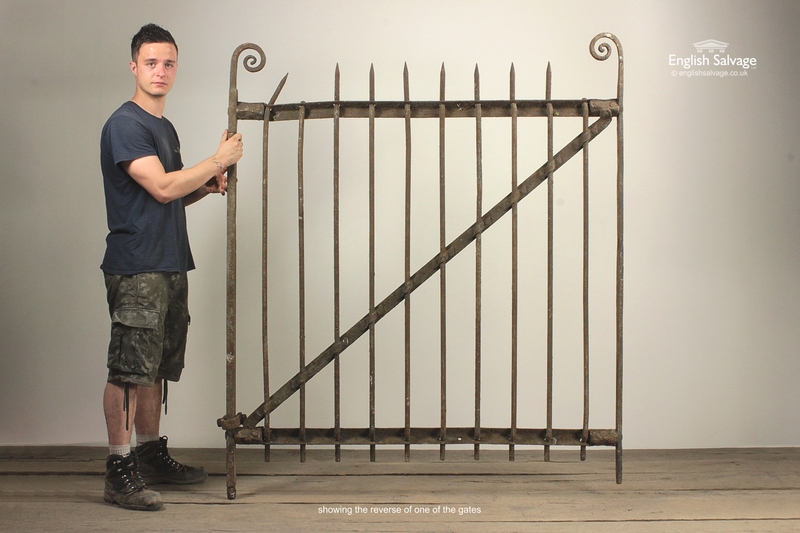 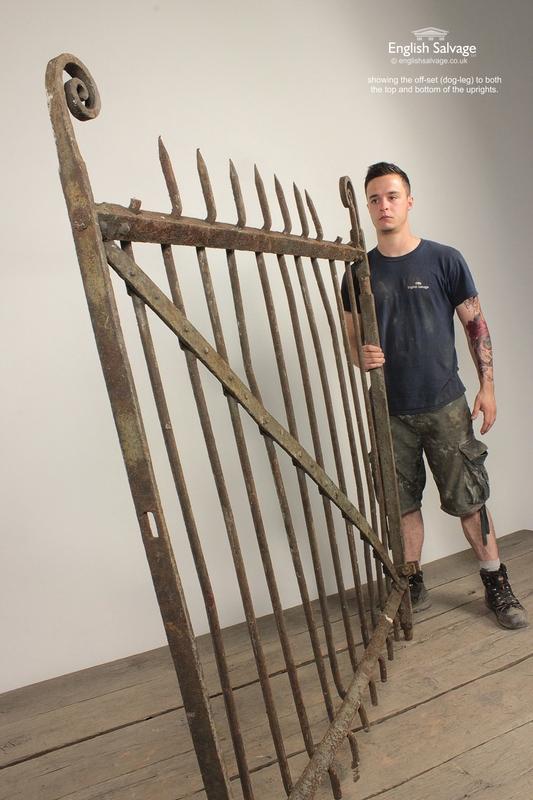 Reclaimed double blacksmith, driveway gates, vertical bars with flat diagonal flat bar, scroll tops and spikes. 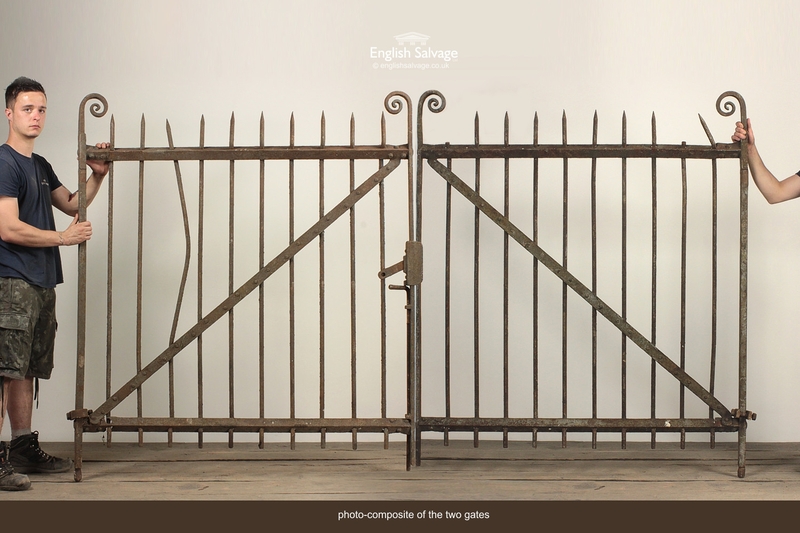 Width shown is for both gates. 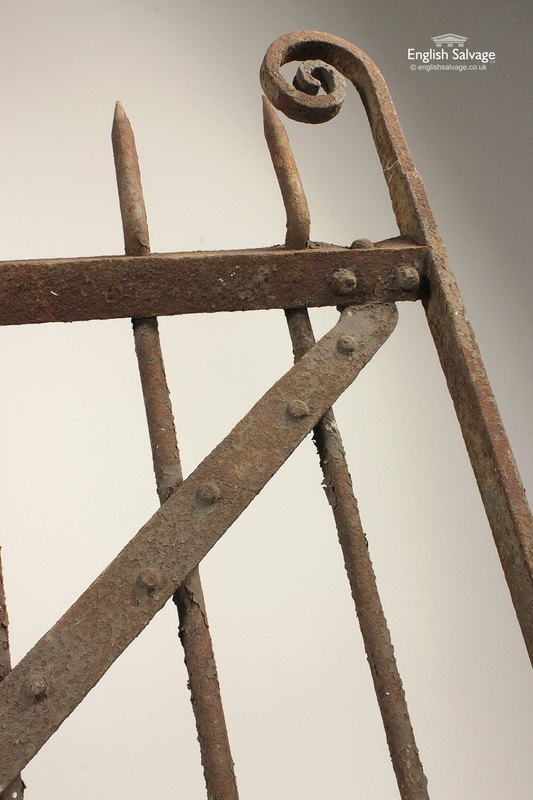 Some bent/missing bars, will need some repair!